Mortality. It’s natural to think about it in old age, especially if elders become seriously ill. What’s not natural is when young children and teenagers think about dying. Not hypothetically thinking, but for real, while looking death in the face. It is heartbreaking when teenagers who are supposed to have many years ahead of them plan their own funerals—with eulogies, caskets, dress, the works. That’s what John Green’s bestseller The Fault in Our Stars is about: teenagers, whose bodies are being eaten by cancer and who, despite their struggle to beat it, very often lose. Still, Hazel and Augustus can’t stay away from each other. They swap books they love. Hazel gives him her favorite novel, An Imperial Affliction, about a teenager Anna, afflicted by cancer, whose life mirrors her own. The book ends abruptly, and Hazel has been obsessed with finding out what happened to Anna and her mother. But the author has moved to Amsterdam and doesn’t respond to Hazel’s letters of inquiry. 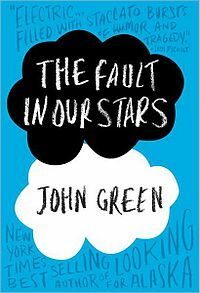 Together Hazel and Augustus embark on a journey to Amsterdam to meet the author and get answers to their questions. Their trip is an adventure filled with both exciting and heartrending discoveries. The Fault in Our Stars touches a painful subject, yes, because it’s hard to read about doomed kids dying way before their time. Yet this story is uplifting too, because it shows the courage of these kids, their early maturity. Their suffering and fighting the disease, their will to live, can put us to shame when we whine about some mundane problems in our lives. Every published author is usually asked this question: When did you start writing? Their usual answer: Pretty early. Well, Thrity Umrigar, the author of The Space Between Us, began writing when she was just 6 years old! That’s early, all right. And at the age of 14, she realized that she would definitely become a writer. She had “a sense of herself” as a writer, you see. Well, what triggered this realization? And why and when did she decide to move from Bombay, India, to Ohio? And why did she, a successful reporter who loved her job, leave journalism? Oh, and by the way, does she outline her novels? 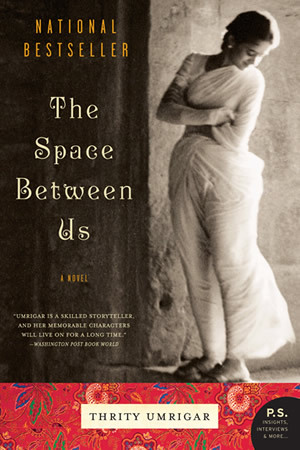 In The Space Between Us, Thrity Umrigar explores class divisions and gender bonds in Indian society, as well as universal themes, such as love and loss, marriage and family, and the ghastly problem of spousal abuse. Umrigar portrays two women, one from the privileged upper-middle class and the other, her servant, from the lowest class. Sera is rich, living in an affluent neighborhood, whereas Bhima is dirt-poor, living in filthy slums. So by birth, they stand as far apart on the societal scale as they can possibly be, but they have something in common—the shattered dream of a happy marriage—and they are more friends than employer and servant. Bhima has been faithfully and self-sacrificially devoted to Sera for decades, and Sera reciprocates with kindness, treating her with lenience and paying for Bhima’s granddaughter’s college education, despite the criticism of such “indulgence” coming from her social circle. Having lost her husband and daughter, Bhima has endured hardships throughout her life, and now she’s facing another plight, the pregnancy of her unmarried granddaughter whom she has raised alone. This pregnancy is not only Maya’s disgrace in the eyes of the community, but it is the end of her college education, which means the end of their dream to ever rise above their wretched lives in the slums. Bhima considers education as the only way to succeed in life, so she (with Sera’s approval and help) insists on an abortion. Argh! I wanted to scream. Well, as I said before, that’s what good writing does to you–it evokes all kinds of strong emotions in you the reader. Thrity Umrigar has chosen a good title for the novel. 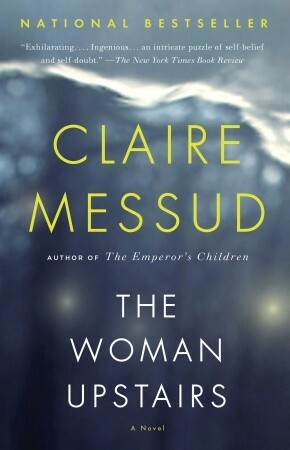 The Space Between Us is about desired breathing space (by Sera, from her domineering and oppressive mother-in-law), the safeguarded space (Sera preserves distance between herself and Bhima, as tradition requires), and fortified space (between the castes and classes). The Space Between Us is a beautifully-written, realistic depiction of the life in India, which many readers may find fascinating.